The index opened positive but saw profit booking to close weak at 8697.60, loss of 11.95 points. The broader market was negative with 781 advances to 841 declines. Range stays at 8500-9000. 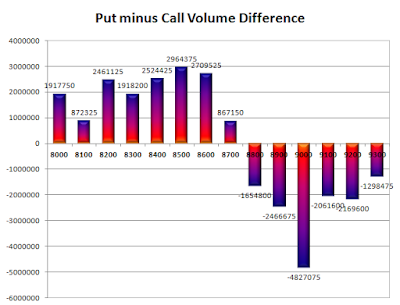 Call option 8700-9000 added 6.98 lacs OI with profit booking at 9100 and above strike prices. 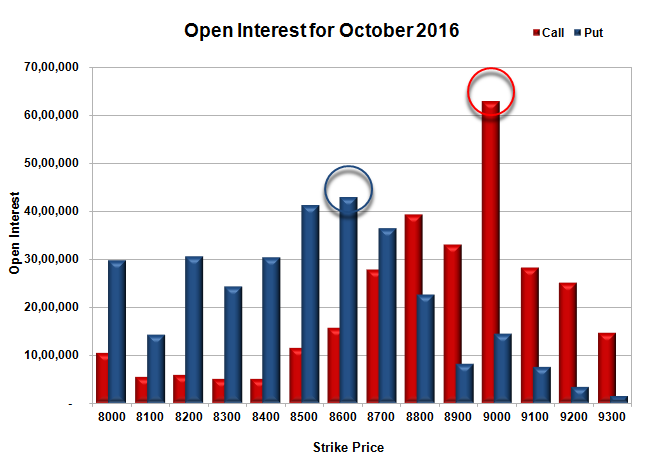 Put option 8600, 8400-8100 added 3.12 lacs OI with short covering at 8700 and above strike prices. 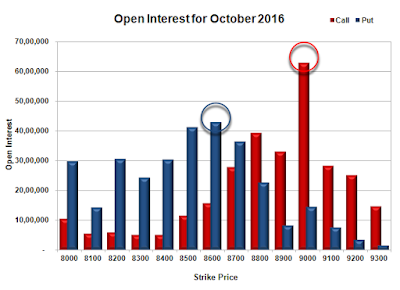 Nifty Open Interest is at 2,14,16,325 down by 6,72,225 with decrease in price, probably long liquidation. 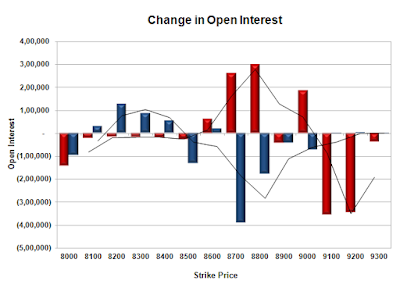 Bank Nifty Open Interest is at 20,64,960 up by 6,480 with no change in price, probably long build-up. FII’s sold 13820 contracts of Index Futures, which includes net 11423 contracts long liquidation and 2397 contracts short build-up, with decrease in net OI by 9026 contracts, includes 13778 longs to 27598 shorts for the day. FII’s Index future open contract as on date is 224316 Longs to 44137 Shorts, Net long 180179 contracts. Initial support still at 8700 with OI of 36.43 lacs and below that at 8600 with OI of 42.88 lacs. 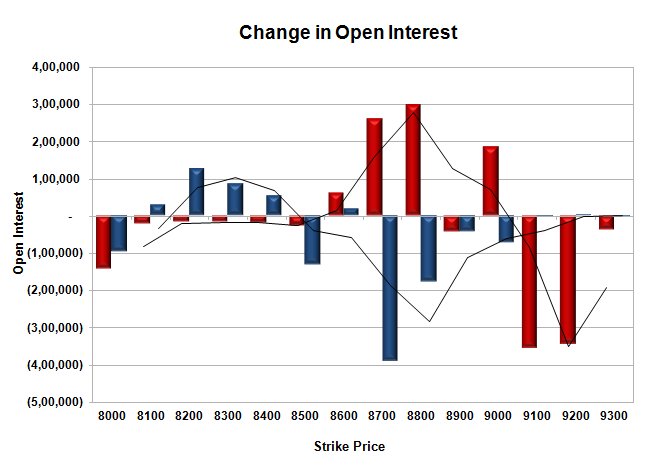 Initial resistance at 8800 with OI of 39.29 lacs and above that at 8900 with OI of 33.00 lacs. Day Range as per Option Table is 8630 - 8763 and as per VIX is 8632 - 8764 with 8695 as the Pivot.